Welcome to Jacinta, the queen of rainbows. 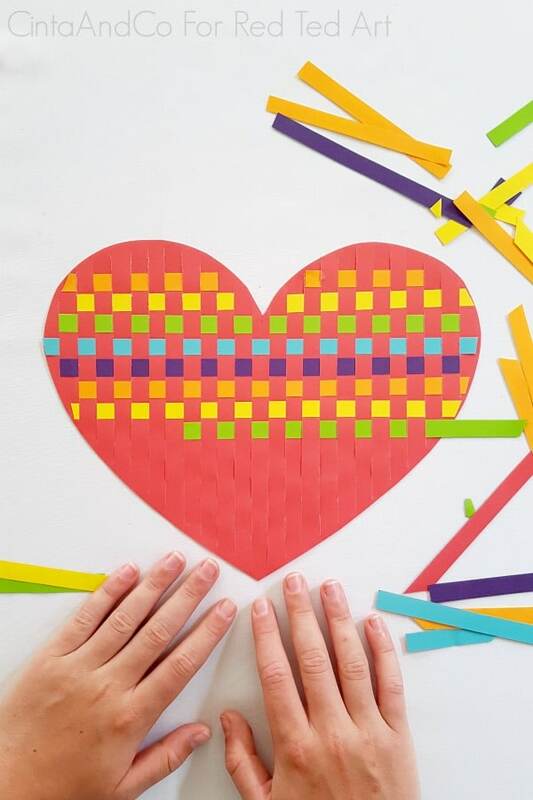 As a lover of rainbows and easy crafts for kids, Jacinta is sharing a darling Rainbow Heart Paper Weaving Activity for us today! 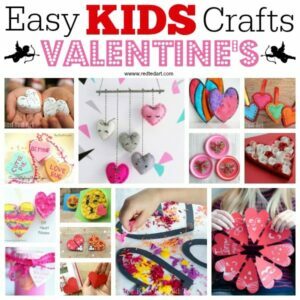 Perfect Kids Valentine’s Day Craft! 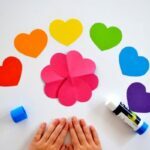 Last year we had some gorgeous Rainbow Heart Flowers, that I think you will also like. 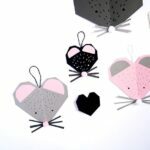 I am so excited to be part of the 31 Days of Love Series on Red Ted Art again this year! Thank you Maggy for including me. My name is Jacinta and I am an Australian based Scientist and Mum of three, hoping to inspire creative kids and fun mums, families and educators. 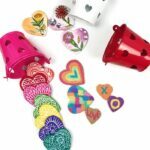 I post bright and colourful learning projects on my Instagram page @cintaandco. It’s called Cinta & Co. as my family and friends call me Cinta – short for Jacinta, and my kids are my co. – you will often see their little hands hard at work in the photos that I post. 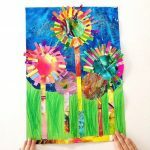 Today, I would like to share a really simple and fun paper weaving activity that you can make using only paper and a pair of scissors! 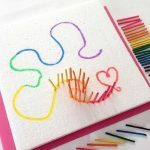 This activity is great for developing fine motor skills and hand eye coordination, and the finished product would make a beautiful card or gift. 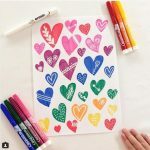 Draw or trace a heart shape onto your piece of paper. I printed out a heart shape on white paper, cut it out and then traced around the edge so that I had a nice symmetrical heart shape. 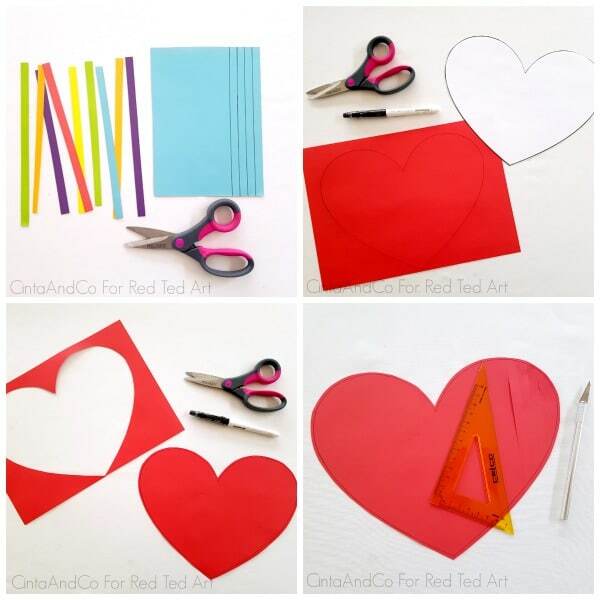 Using scissors cut out your heart shape. Don’t cut along the line though. Leave a couple of millimeters around the outside of the line. This will give you a nice border around the edge of your heart. 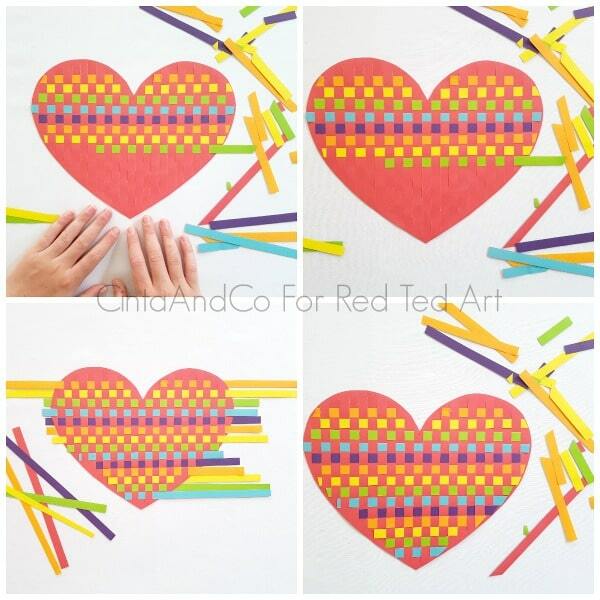 Using a ruler and a marker pen, rule lines 1cm apart between the outline of the heart. Then slice along these line using scissors or a sharpe blade. Make sure to leave a border so that you don’t loose your woven pieces in future steps. Rule 1cm lines along your paper that you are going to weave with. 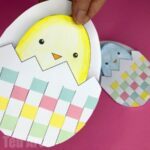 We used rainbow coloured paper, but you can use any colour variations that you like! 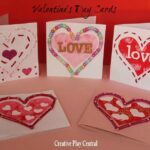 Cut along the lines to make your weaving strips of paper. This step is great for developing scissor skills. The more accurate you can be with the cutting, the neater your weaving will look. Start weaving! I started from the top of the heart and wove from right to left. Feel free to weave in any direction that you feel most comfortable though! And I alternated every second line in and out too, to make a nice pattern. This weaving step takes a bit of concentration and patience. 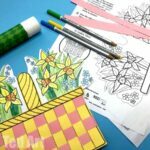 Smaller children may need some adult help, or may need larger strips of paper to help their little fingers work more easily. 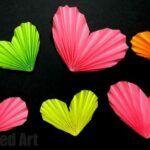 Once you have filled the entire heart, trim the edges to make a nice neat edge. I used scissors and very carefully snipped the excess paper from the ends. And then you have finished! I LOVE weaving projects for children. 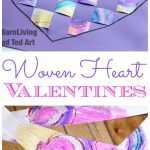 There are so many paper and yarn weaving projects around for you to try! I would love to see your weaving projects too! Feel free to tag me so that I can see!